Congratulations to tour winner Yihua L. and to host winner All the Ups and Downs. 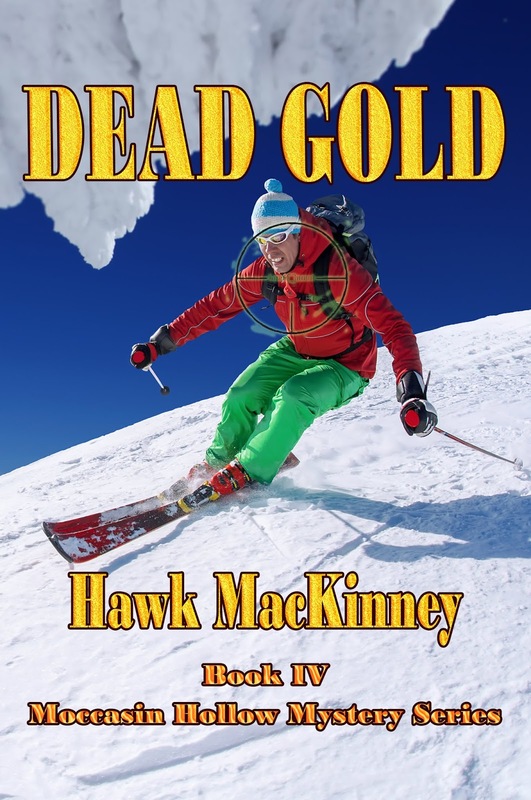 Goddess Fish Promotions is organizing a Virtual Book Tour for Dead Gold by Hawk MacKinney, a Mystery/Suspense available March 2019 from Sage Words Publishing. The tour will run March 18 - March 29, and Hawk MacKinney is available for guest post and interviews. A PDF copy of the book is available for review in conjunction with a guest post or interview. Hawk MacKinney will be awarding a $20 Amazon/BN GC to a randomly drawn winner via rafflecopter during the tour, and a $20 Amazon/BN GC to a randomly drawn host. The dazzling lure of Olympic gold fame is a spotlight glare hotter than any fifteen minutes of fame. During plans for a cross-country ski vacation, Aspen Police Department Criminal Investigation Division Detective David “Spinner” Krespinak and SEAL-bud Craige Ingram are ensnared by glamour, upmarket glitz and bling, and greed in the deadly champagne powder world of a money-gets-you-anything high-country ski-mecca. Body parts start turning up in the most unlikely places. As the two friends start their investigation, A hornets nest of the local elite do not want the publicity. For good reason it seems, they may be part of the mystery of bodies and body parts piling up at the morgue. The closer they get to the killer the more confused they become. Who is behind the murders and mutilation? The list of suspects grows as they close the net on the killer. The tender underbelly of Aspen is not what it seems. It is a raw open sore that oozes blood, drugs, and murder.